We are proud to announce the partnership of Ivy Bridge Academy with local North Fulton Elementary Schools to offer our award winning IBA Debate Program in a convenient after-school enrichment setting. After-school enrichment programs provide parents with the convenience of classes being held immediately after school. Students benefit from learning in a familiar enviornment with their friends from school. 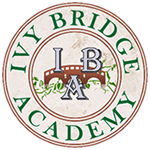 Ivy Bridge Academy Debate Program is taught by experience debate coaches with proven track records in winning debate competitions, and in educating and inspiring future debate leaders. Ivy Bridge Academy Debate Teams compete at the national level and have accumulated numerous Top 10 placements in national debate competitions.